Creativity isn’t limited to the arts. It’s something that all problem solvers use to make a way that wasn’t there before. It’s one of our greatest tools because every problem, place and season calls for a unique response. Caridad Kitchen is committed to the pervasive problem of hunger in Tucson. They recognize that meeting this fundamental need for all men, women and children to have access to healthy food is essential to a flourishing city. With profound creativity they have found ways to simultaneously provide for this problem while pursuing vocational, psychological, social, and communal thriving. Caridad Kitchen offers a free 10-week culinary program that trains students in the essentials of working in a kitchen. It is designed for men and women who are unemployed or underemployed and are motivated to build a career in the culinary industry. Kristen Culliney, the Director of Caridad Kitchen, described how they consider applicants with a variety of employment barriers. Some have struggled to find work after being convicted of a felony. Even after serving their allotted sentence, their conviction can still serve as shackles as they seek to reintegrate into society. Other barriers may be familial, educational, or an array of personal challenges that have made adequate employment difficult to find. Students invest 40 hours a week in developing their skills and building relationships, which has successfully led to meaningful employment in professional kitchens for students from 25 classes over the past 6 years. But here’s the wonderfully unique thing about Caridad- they train through making creative and nutritional meals for those in need of food in our community. This gives students a chance to love their neighbors as they receive this gift of free training. Through the students, staff, and volunteers at Caridad, 10,000-12,000 community meals are prepared each month and made available to anyone experiencing hunger without qualification. 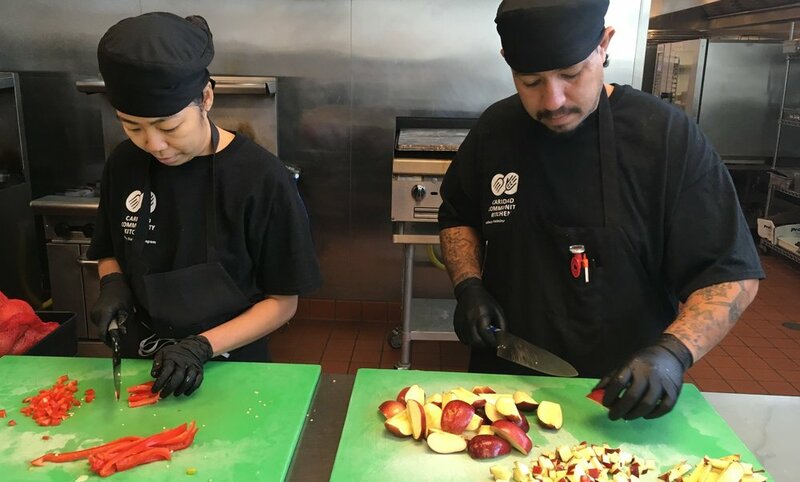 Led by the chef’s at Caridad, these community meals are crafted to reinforce the dignity of all men and women regardless of what their current struggles may be. They don’t serve anything that they wouldn’t make for their own families. Once the food is prepared, church partners then serve as meal sites that either provide the food in the form of “to-go” sack lunches or as a hot meal. For the latter, the church volunteers set up a weekly dining space and create a hospitable environment for guests to enjoy their food. This format not only emphasizes the dignity of all people but collapses the socio-economic divide that can segregate our neighborhoods and public spaces. The volunteers serving the meals have a chance to get to know and learn from their guests that are coming from an array of backgrounds. These interactions are essential for a connected and flourishing community. Caridad also has programs that focus on young and old. They prepare 250 daily meals for after school programs and 1,500 meals a day for seniors in our community alongside Pima Meals on Wheels. Caridad’s executive chef works with a dietician to customize meals for the common dietary needs of seniors in our city. By Caridad Kitchen making the food locally for these programs, not only can they receive personal feedback on the needs and wants of those they serve, but they can also source much of their ingredients from local growers. It is a commitment of Caridad’s to invest in the local food system here in Tucson. This focus on making local food available for low income residents in Tucson is a passion of Caridad Kitchen. This drives their ever-growing initiatives that seek flourishing for local growers, for the environment, and for all Tucsonans. There isn’t space here to share all of the wonderful things Caridad is doing for our city. I encourage you to learn more, set up a tour of the space, volunteer. The staff is very welcoming to new faces and happy to share their vision. I will leave you with a brief story of a Caridad graduate recorded by Megan Black, the student services and volunteer manager. Enjoy! 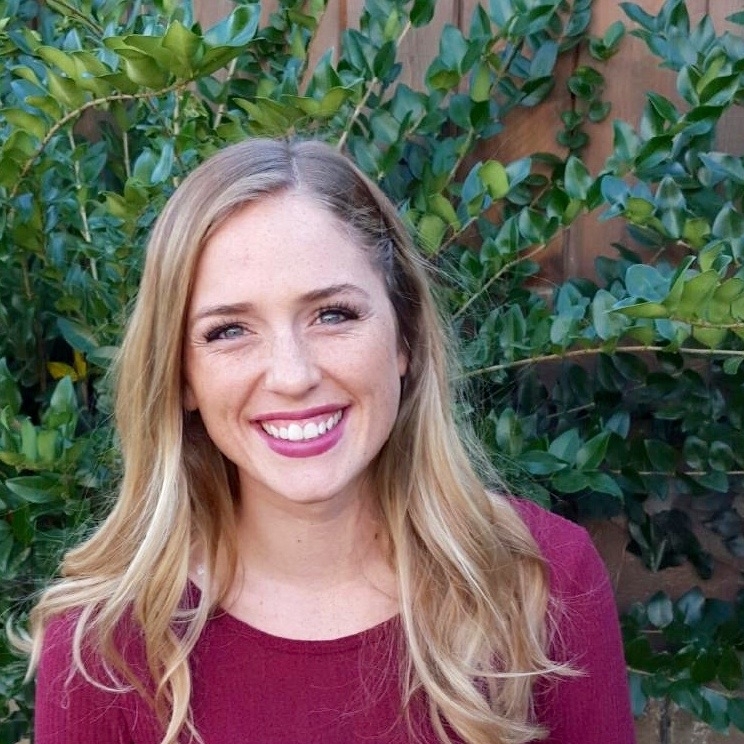 Four years ago, Marcella was working as a cashier at a fast-casual restaurant in Tucson. She had been given a couple of opportunities to help prepare food in the kitchen, and it was then she realized she wanted to cook for a living. A family member told her about the Caridad Culinary Training Program. After giving it some thought, Marcella decided to apply and was accepted into Class 14 at the beginning of 2015.
her classmates when she needed to. She also felt much more confident in her own abilities at the end of the program. Marcella’s graduation from Caridad was emotional not only because it was the first graduation she had ever had, but also because she finally felt like she had accomplished something in her life. She knows that she made her family very proud. After graduation Marcella worked on-call at Caridad for the summer and then found full time employment as a cook at a senior living community. Two years later, the Caridad Community Kitchen started providing meals for the Pima Meals on Wheels Program and Marcella applied to work full-time at Caridad. She is now a cook for the kitchen’s senior meal programs. She loves giving back to the community and takes tremendous pride in telling people that she is part of the Community Food Bank team. Click here to learn more about Caridad Community Kitchen, a program of the Community Food Bank of Southern Arizona. Teena lives in Tucson, Arizona and loves to capture the passions of others with words. Find more of Teena's work at www.shakingspirits.com.